Kohl's offers the Sonoma Goods for Life Quick Dry Ribbed Bath Towel in several colors (Grey pictured) for $7.99. Coupon code "BASKET" cuts the price to $6.39. Opt for in-store pickup to avoid the $8.95 shipping charge. That's $8 off list and the lowest price we could find. It measures 30x54". Deal ends April 20. Macy's offers the OppoSuits Men's Slim-Fit Suit and Tie in Rudolph or Snowman for $49.99. Coupon code "SALE" cuts the price to $39.99. With $9.95 for shipping, that's the lowest price we could find by $40 and the best price we've seen for any suit in this collection. It's available in select sizes from 36 to 52. Amazon offers the Febreze Air Effects Air Freshener 8.8-oz. Spray Can 6-Pack in Linen & Sky for $17.82. Clip the $3 off coupon the product page and order via Subscribe & Save for a final of $13.93. Plus, Prime members receive free shipping. That's about a buck less than you could expect to pay for this quantity in local stores, although some stores charge about $3 per can ($18 for six cans). Note: Be sure to cancel Subscribe & Save after your order arrives to avoid being billed for subsequent shipments. Bloomingdale's offers the BCBGeneration Women's Sleeveless Lace-Inset Maxi Dress in Black for $19.77. Plus, Loyallist members receive free shipping. (Not a member? It's free to sign up.) That's the lowest price we could find by $19. It's available in select sizes from 0 to 6. There's now a class action lawsuit over Apple's latest Wifi Assist feature. 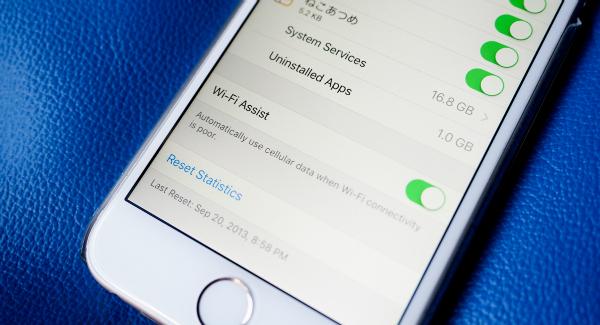 If you upgraded your iPhone to iOS 9, or if you bought a brand new iPhone 6s or 6s Plus recently, then you might want to turn off the Wifi Assist feature. Wifi Assist is a setting that prompts your phone to switch to cellular data when your Wifi connection is poor. In theory, this could be a nifty feature that allows for more seamless loading. The problem is that Wifi Assist is on by default in iOS 9, and you don't easily know when it's switching to data. If you have a small monthly data allotment, then you could quickly eat through your plan without realizing it and end up paying overage fees. While Apple has tried to clarify the details behind Wifi Assist, a couple this week filed a class action lawsuit for $5 million. These consumers are annoyed that Wifi Assist is on by default without proper warning from Apple that the feature could potentially result in data overages. As we mentioned though, this feature can easily be turned off. If you're worried that it might push you over your monthly data limit, then go into your settings and select "Cellular." Then, scroll all the way to the bottom of the screen and turn off Wifi Assist. Readers, have any of you experienced overage fees due to Wifi Assist? What do you think about the lawsuit? Sound off in the comments below! Why Do Mac Laptops Seem to Last Longer Than Windows Laptops? 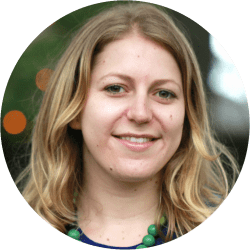 Lindsay Sakraida specializes in writing about retail trends and lifestyle subjects. She's also obsessed with music, movies, and tennis. Follow her on Twitter at @LinSakraida. :-) Thanks Lindsay for that. I actually turned it on as I have a 30Gb AT&T plan and I would rather use it in case of bad WiFi connectivity. Apple tells everyone about the feature when they install iOS 9. You have to hit Yes/Agree twice. If you didn't read the darn thing beofre saying yes (twice) then it's your own fault not Apple's. How sinister is it that this setting is at the very bottom (beneath the list of apps) whereas every other setting is at the top. I hope it comes out that Apple and the mobile carriers were in on this. I would be more interested in Apple providing a retrograde (revert to previous) iOS option for older iPhones. I can imagine that the fine folks over at Verizon and AT&T loved having this "feature", and it wouldn't be surprising both of those monstropolies had their hands in it. smusherface & nestormart posted the same exact comment. Can we therefore presume that they may be from pro-Android(ian) types of posters (or poster if it's the same person using two different logins)?? This is definitely something that Apple should have made special note of or just not made a default setting & let customers choose for themselves.